Q & A – Life Support Services, Inc. Question: I can’t register 10 days or less before the class starts? Question: I need to be re-certified by X date.. Do you offer a class before then? Answer: Check our Calendar page or contact us. Question: I’m not sure where I need to go for my class. Do you have an address? Answer: Our Ann Arbor training center is located here . The Pontiac, St. Joseph Oakland facility is located here . inside the Franco J. Auditorium. Question: Do I need a Provider or Renewal course? Answer: With the AHA updated guidelines, there are no longer any grace periods granted. This means, that the individual has until the end of the month of the suggested renewal date to take a Renewal course. Once the card has expired, the student must take a Provider course per the AHA guidelines. Question: Do I need a new book? Answer: The latest edition of the ACLS, PALS , and BLS book is Copyright Dated 2016. A book with this copyright date is required in order to be admitted to the course. Question: Can I add BLS to my course? Answer: Yes! Online BLS can be added for an additional $45 and can be indicated in the message section of the registration. Question: How does the online BLS work? Once your registration indicating that you would like to add the online BLS has been processed, we will send a link to your email. This link will prompt you to create a sign-in and password for the AHA Online BLS course. the course consists of online modules, the written test, and and evaluation. 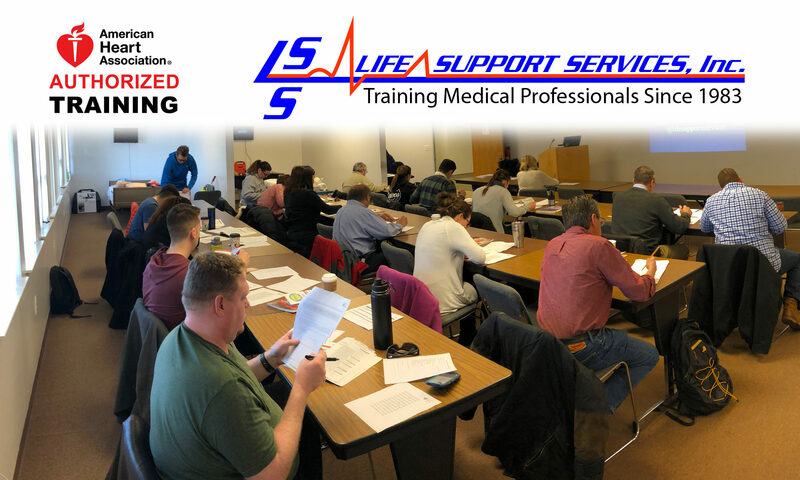 Once you have completed all three parts of the online program you will need to print off the certificate of completion and bring it to your ACLS course for hands-on skills. The online BLS course is an AHA course. Please call 888-242-8883, The AHA Support line, in the event that issues occur during the online course. Question: What do I need to complete prior to coming to my course? The pre-test for ACLS and PALS is a requirement prior to taking the course.